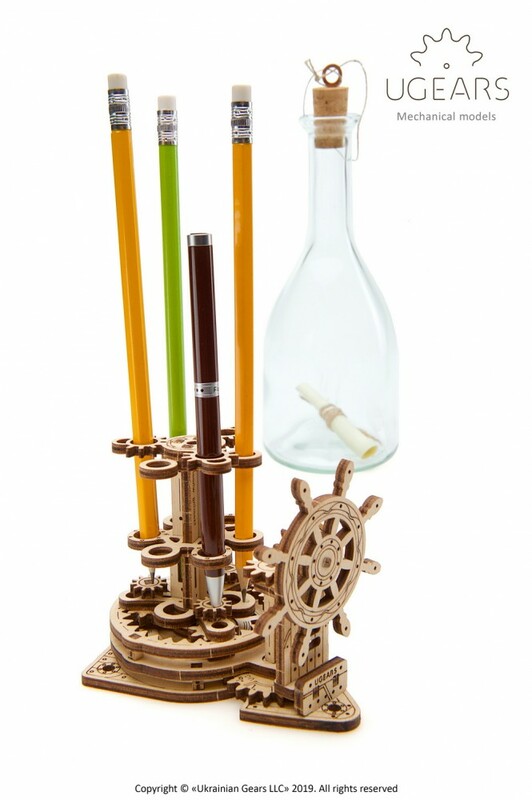 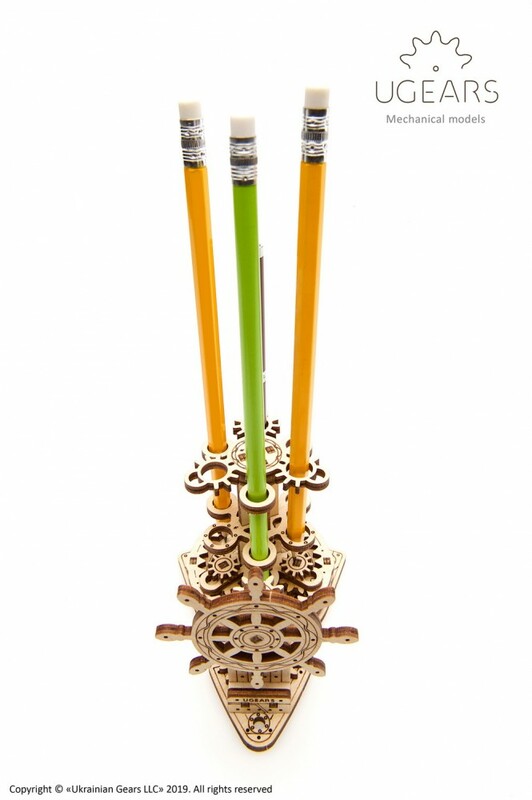 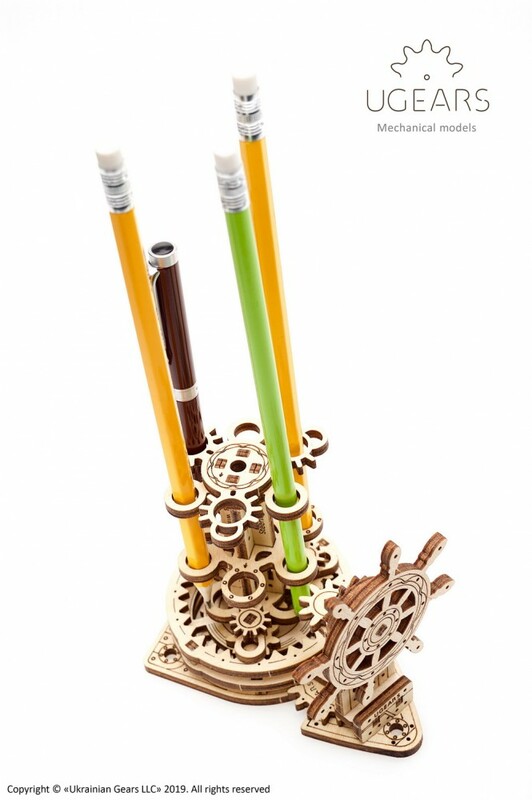 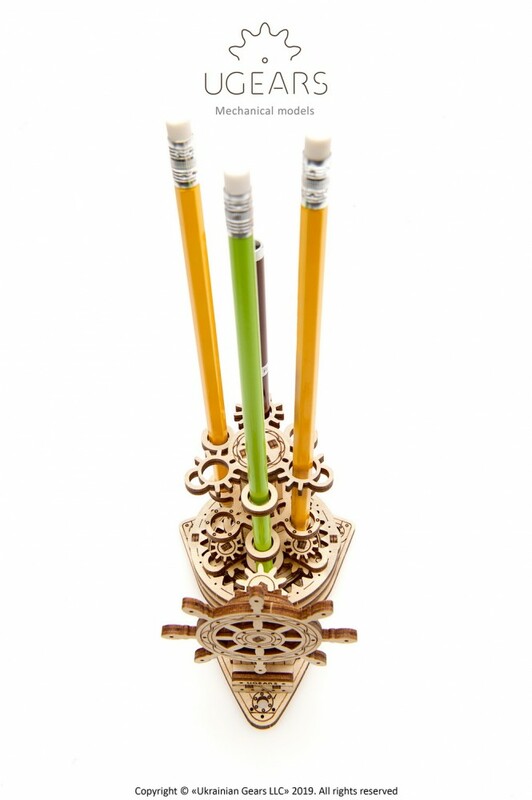 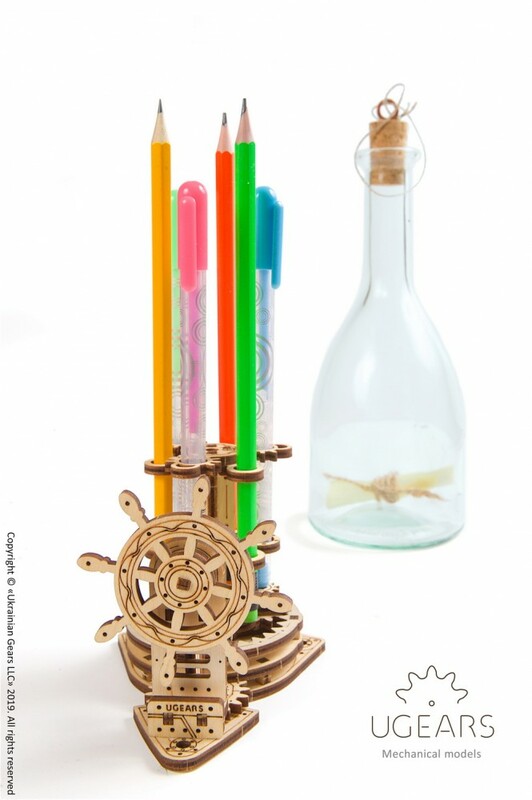 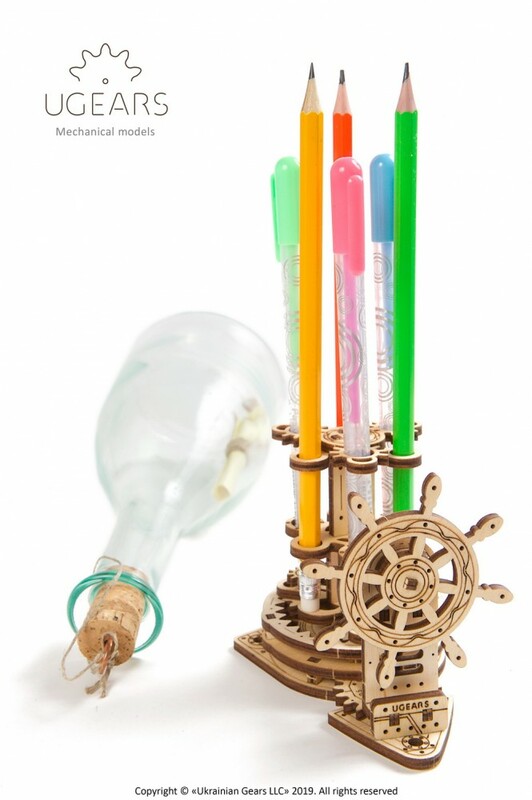 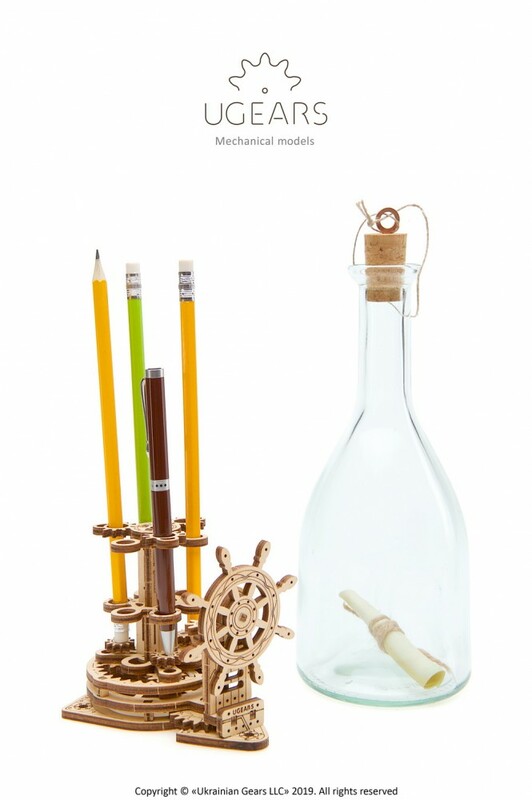 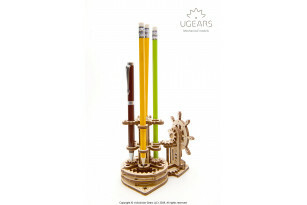 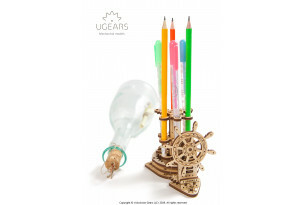 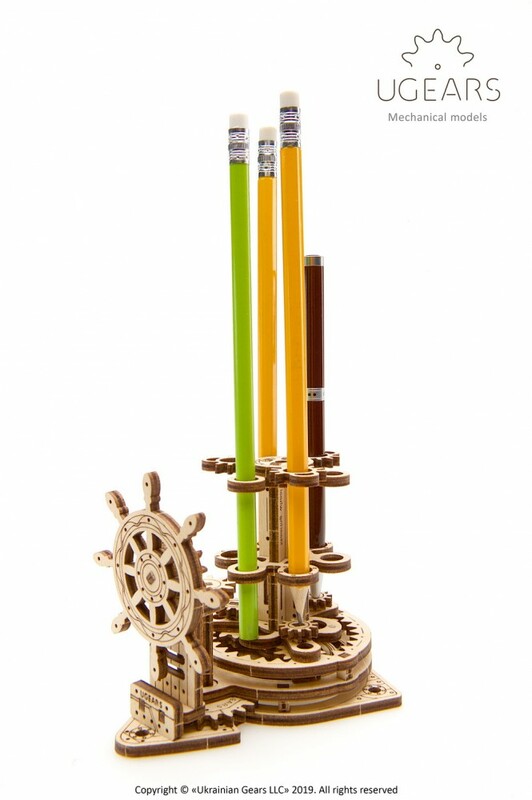 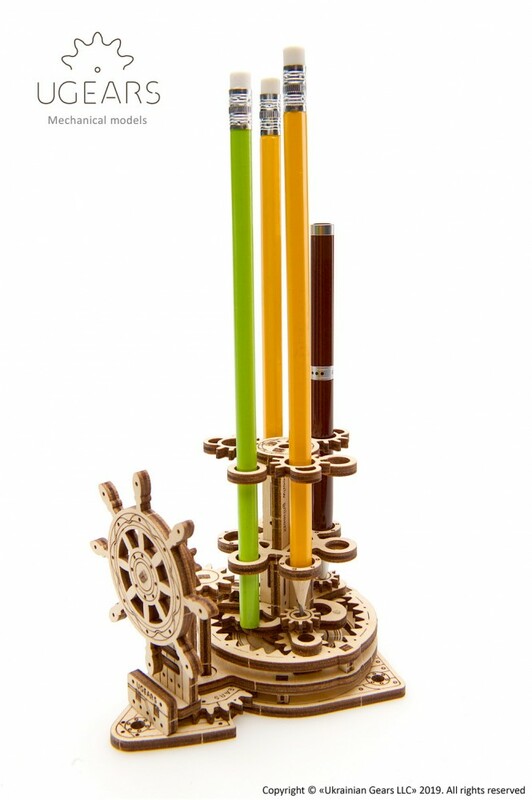 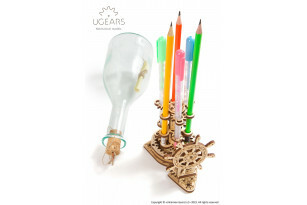 The Wheel-Organizer model: craft kinetic storage for up to 6 pens and pencils with a beautiful Steampunk planetary mechanism inside. 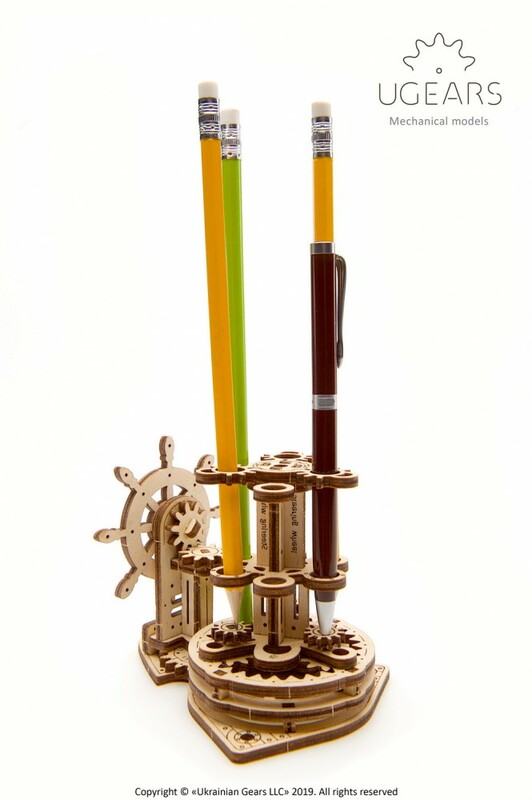 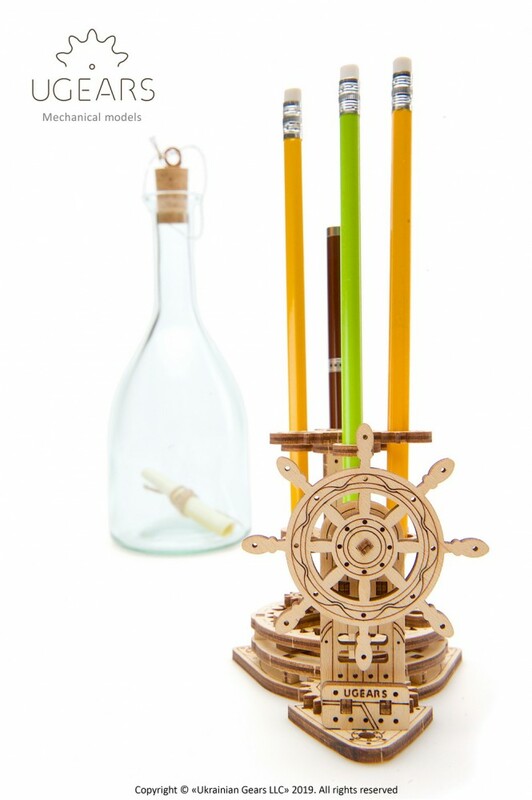 Having twisted the wheel, as the genuine captain, you can choose the direction and… a right assistant – pen or pencil – for a project you are working on. 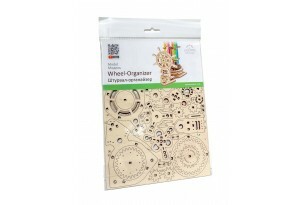 The model kit is comprised of 51 parts. 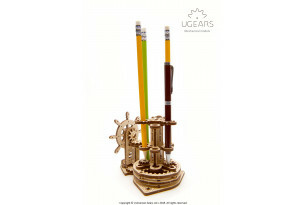 You will work with a natural material that is nice to the touch and gives you a very pleasant feel. 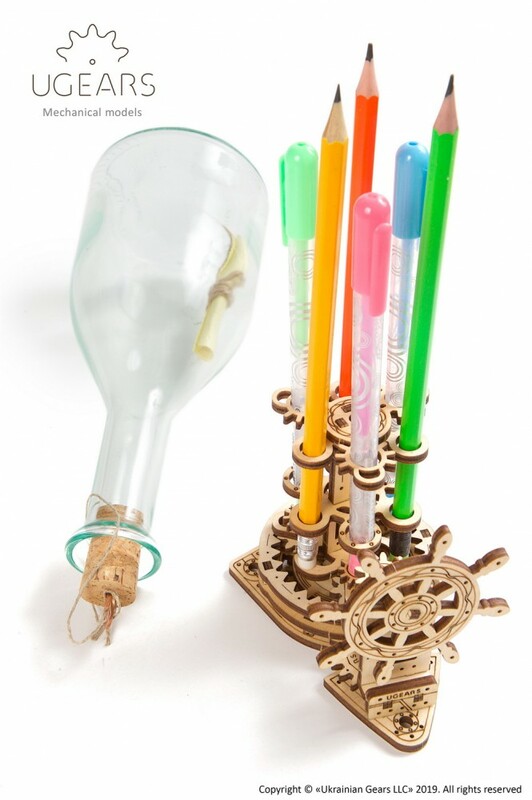 It’s easy to build and nice to give as a present or compliment to your friends and colleagues. 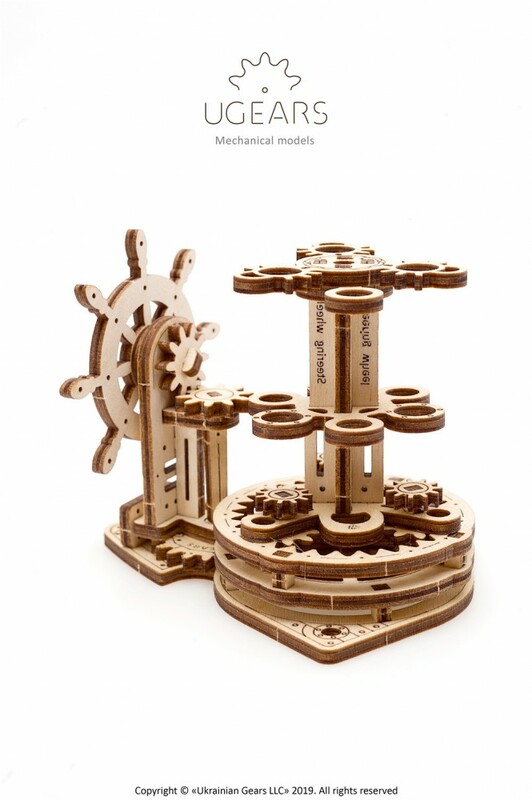 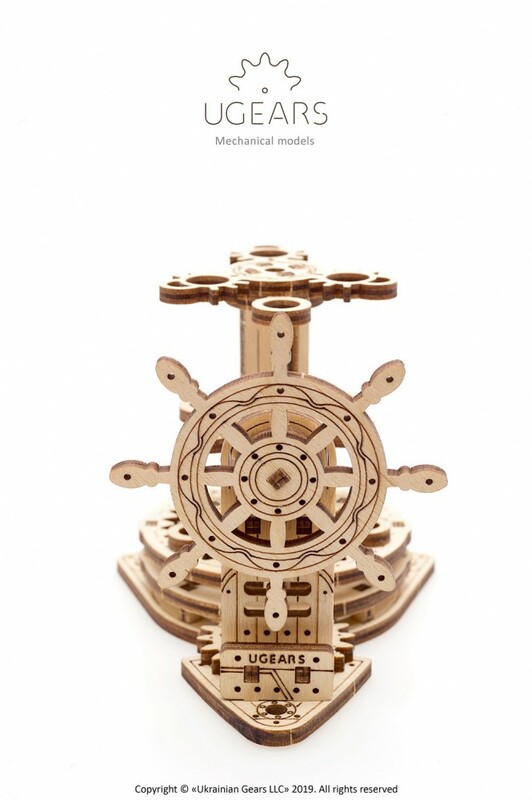 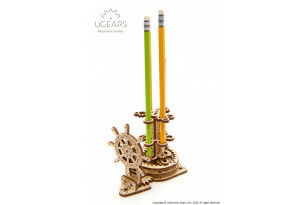 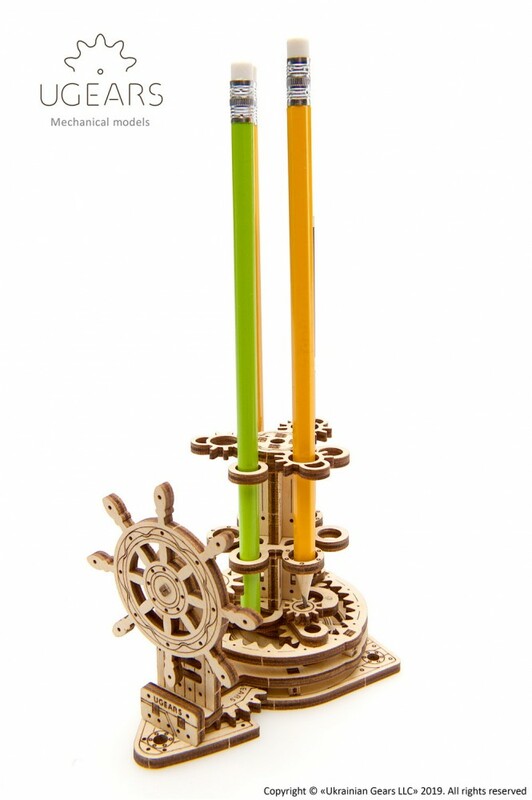 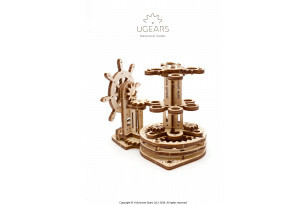 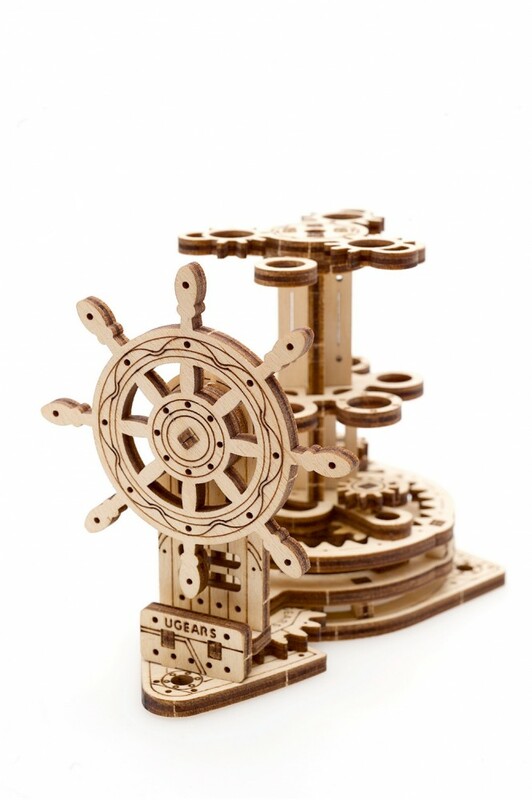 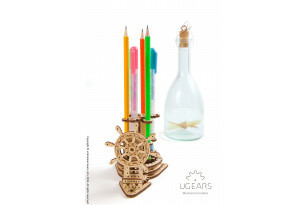 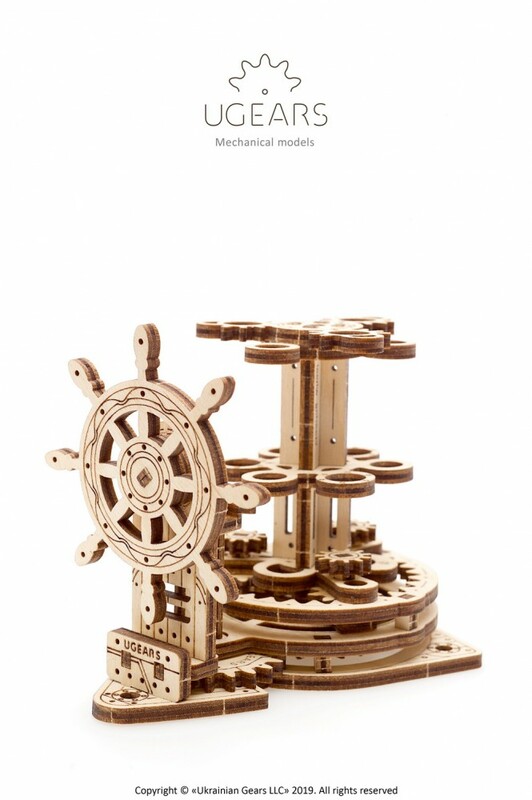 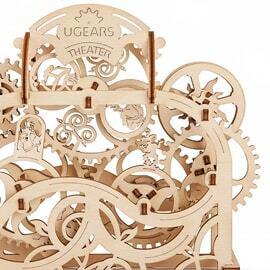 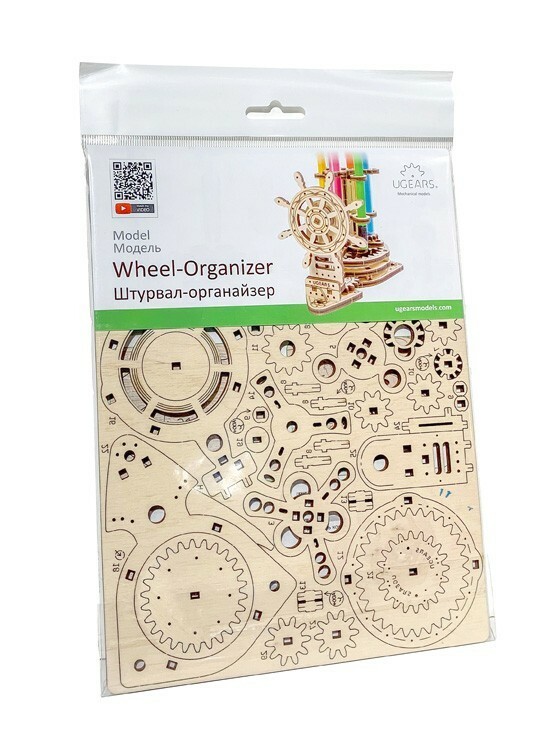 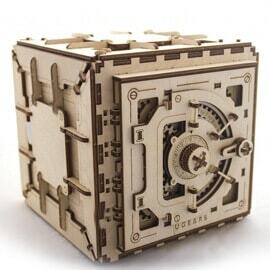 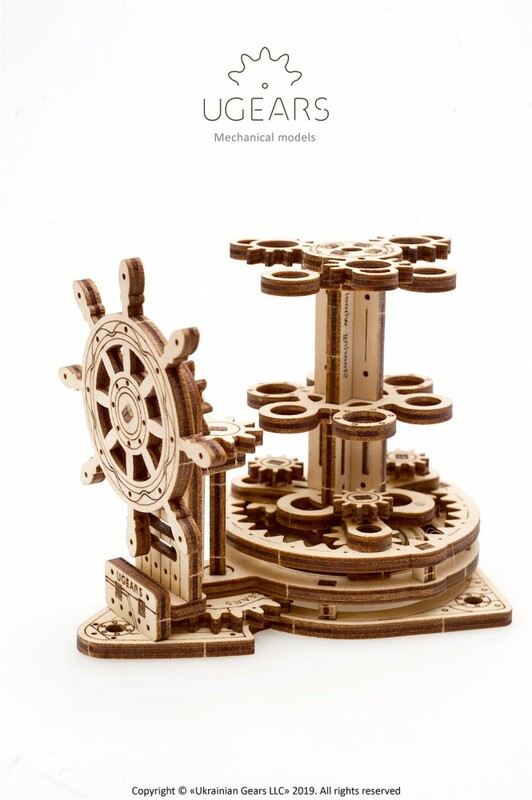 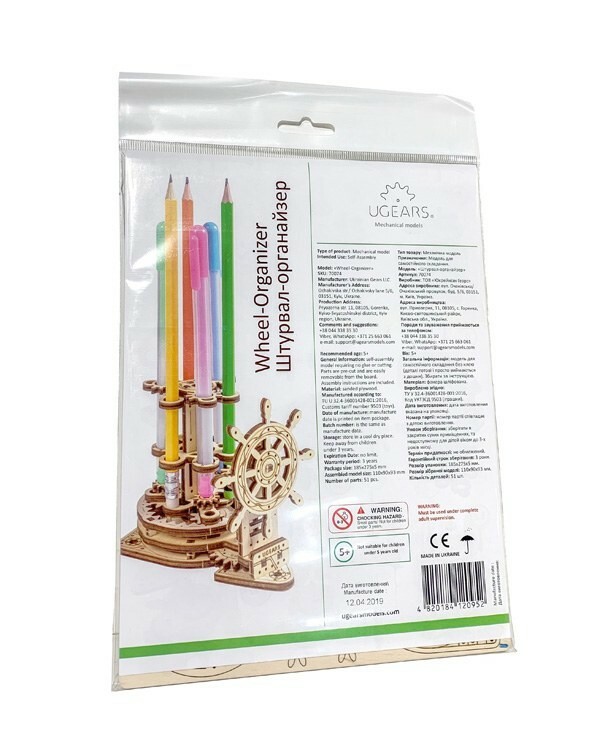 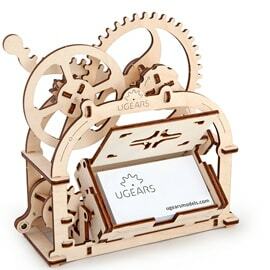 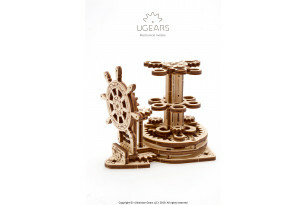 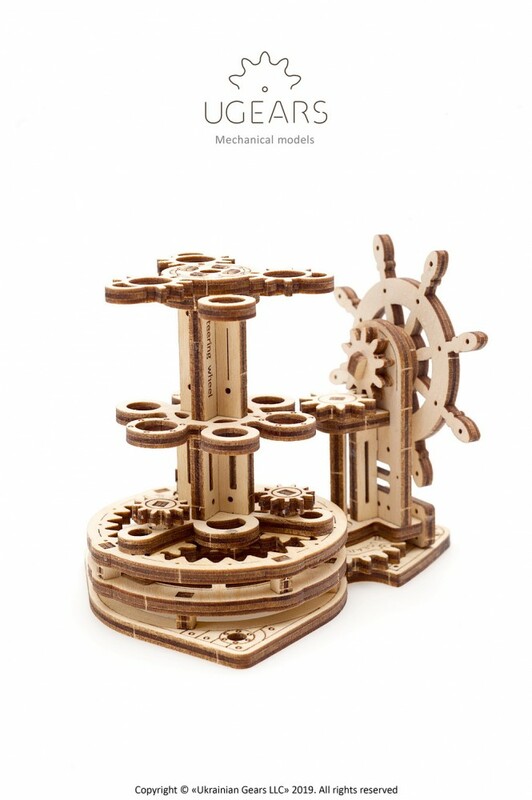 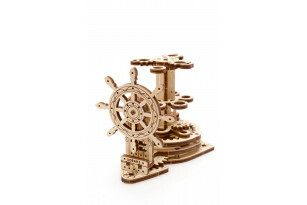 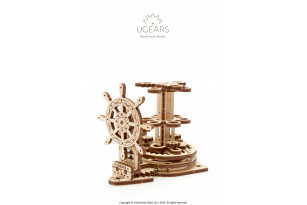 Like all Ugears models, you can assemble the Wheel-Organizer without glue and special tools, enjoying a pleasant faint scent of wood during the process. 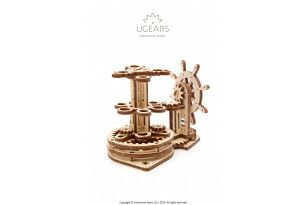 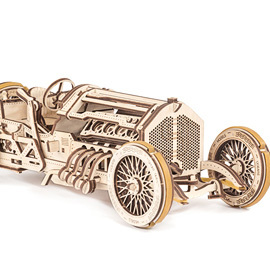 The precut parts are made from high-quality and sustainable wooden material and fit together like a puzzle. 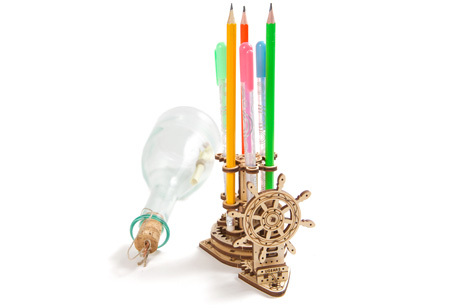 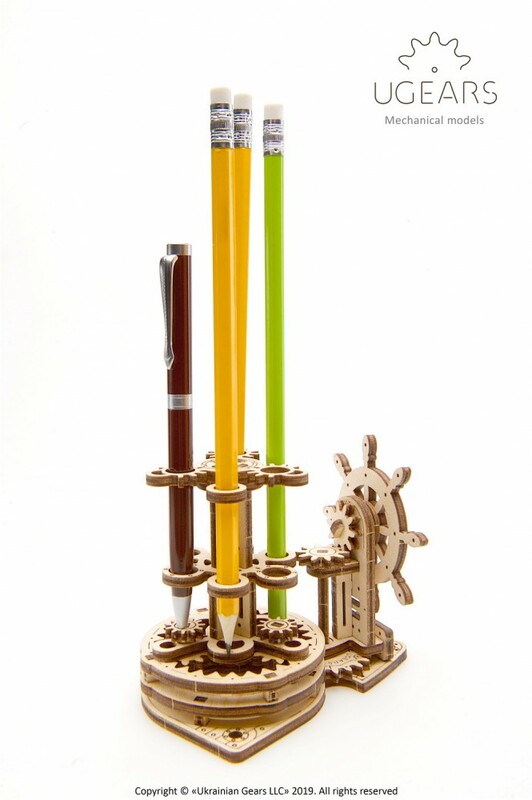 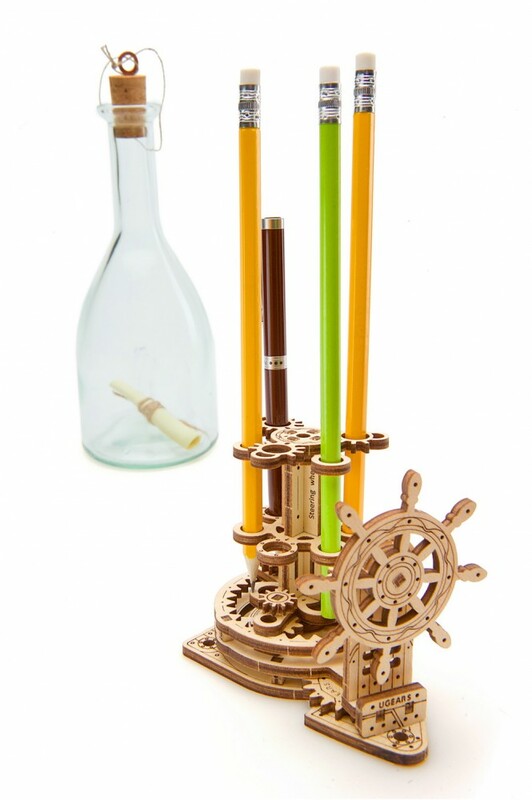 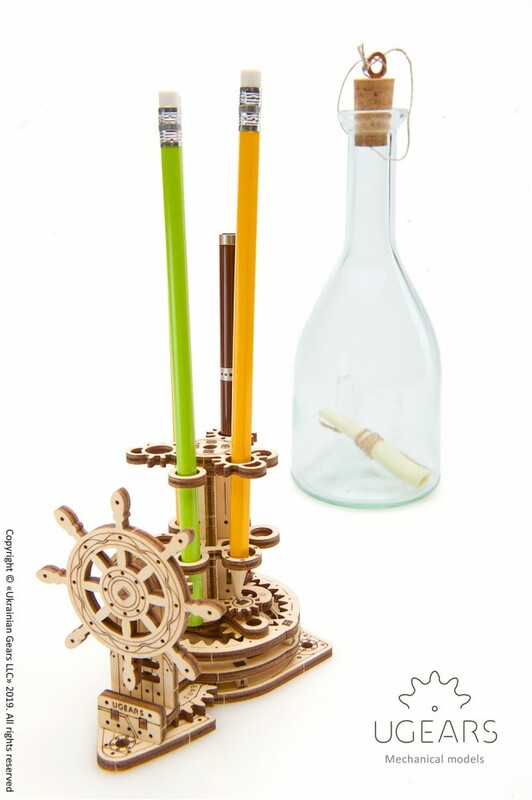 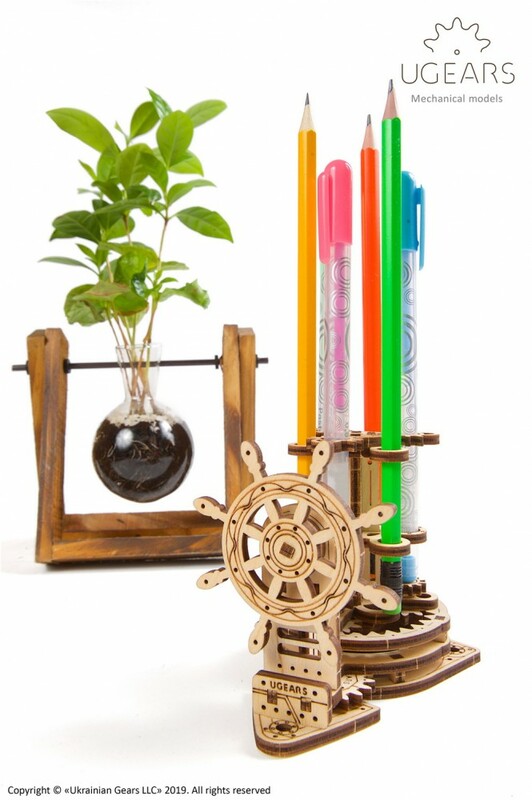 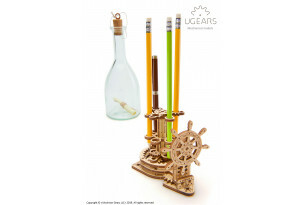 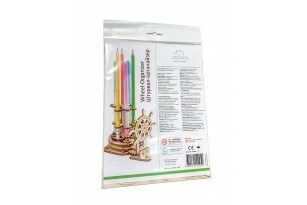 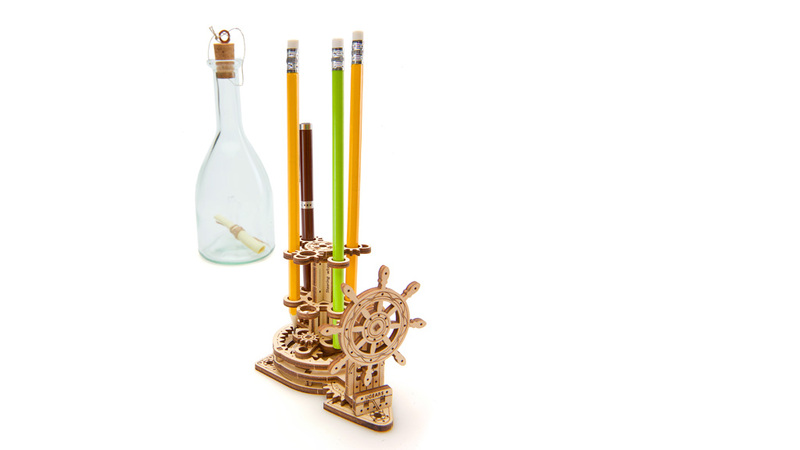 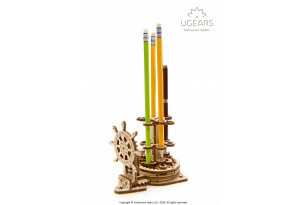 Just put it together with your own hands and get your pens and pencils organized on your desk.